Mariachi Los Palmeros is the most trusted and talented group in the Riverside County & Coachella Valley area. With more then 18 YEARS OF KNOWLEDGE AND EXPERIENCE you can relay that Mariachi Los Palmeros is the right mariachi for your event in any local city. 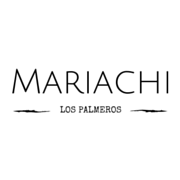 You will need to reserve the day with a deposit amount agreed upon to book Mariachi Los Palmeros Please call (760) 895-9603 or email mariachipalmero@gmail.com to check for availability before placing a deposit. Extremely happy with the service and professionalism from this mariachi band. Incredible performance and energy.